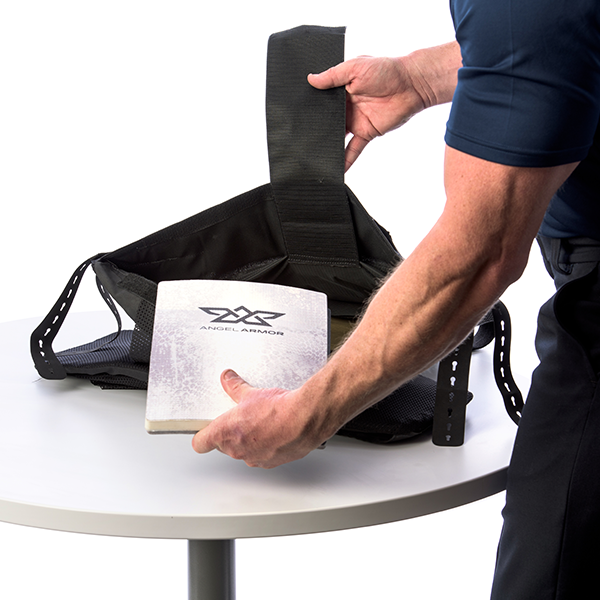 RISE™ is a ballistic carrier system engineered to offer safety, comfort, mobility and versatility in one complete, concealed package. *Independently tested in accordance with NIJ standards. Full test details and reports available upon request. **To request testing for additional special threats, contact Angel Armor. 1. Ballistic suspension system designed for optimal weight distribution. 2. Breathable, antimicrobial mesh liner for odor and moisture management. 3. 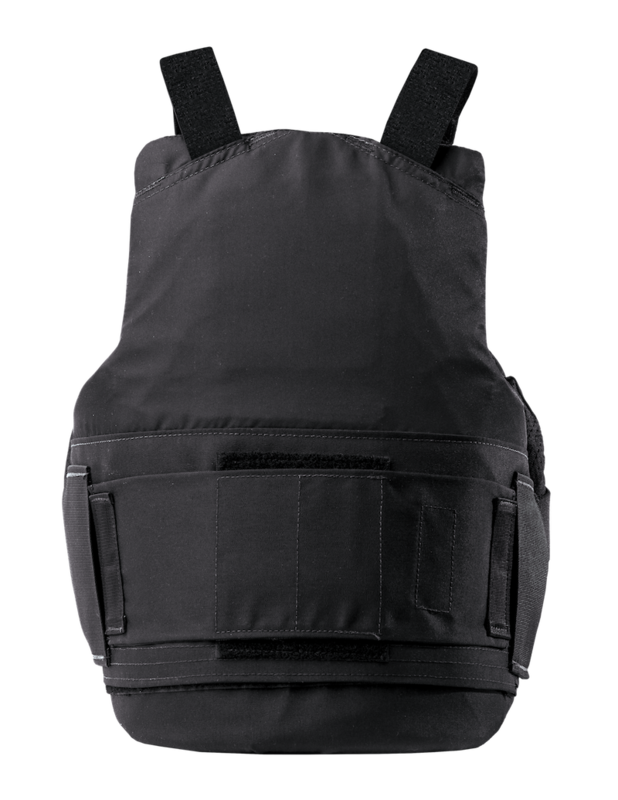 Outershell constructed of high performance materials including CORDURA® nylon and polyester which provide resistance to abrasion, tearing and stretching — for years of service and satisfaction. 4. Low profile, laser-cut panels for PALS/MOLLE-compatible attachments made of exceptionally durable, tear-resistant material. 5. Concealed internal front plate pocket accommodates multiple plate sizes and allows for vertical adjustment. 6. 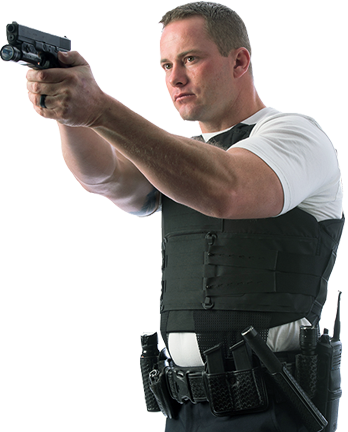 QuickLock engagement system features four points of adjustment for a tailored and secure fit. 7. QuadCore Attachment System™ ensures a repeatable fit and quiet adjustment and long-lasting security and comfort. 8. Easy-to-open pocket for hassle-free insertion and removal of ballistics for cleaning. 9. Critical adjustment and access points reinforced for extended lifespan. 10. Retention tails come standard to help keep carrier from shifting (not shown). 1. High performance 330 denier CORDURA® nylon provides resistance to abrasions, tears and scuffs. 2. 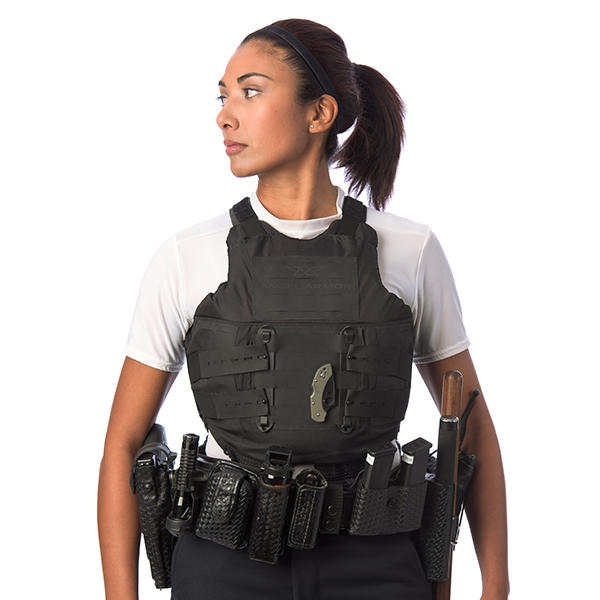 Concealed internal back plate pocket accommodates multiple plate sizes and allows for vertical adjustment. 3. Hook and loop attachment allows for vertical belt adjustment. 4. Stretch and shape-retaining material for increased durability and mobility. 5. Tailored fit belt straps made of exceptionally durable, tear-resistant material. 6. Belt loops secure and position QuadCore Attachment System™ for effortless adjustment. 7. Easy-to-open pocket for hassle-free insertion and removal of ballistics for cleaning. 8. Retention tails come standard to help keep carrier from shifting (not shown). 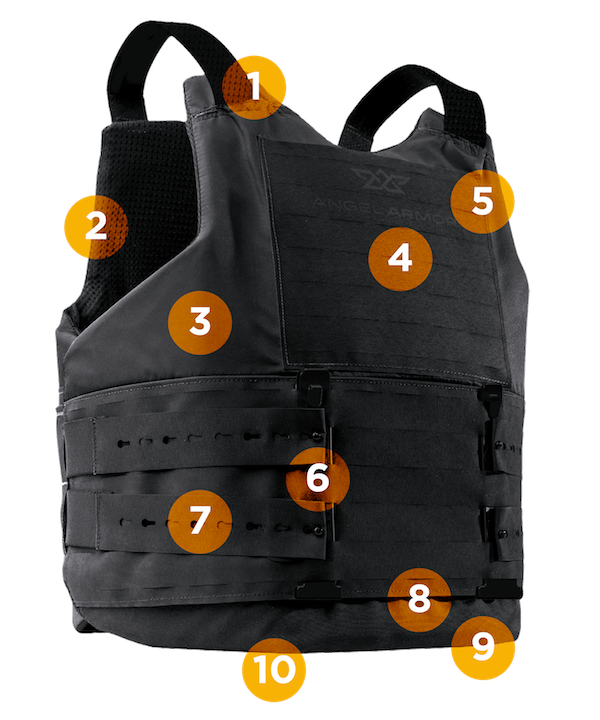 What is RISE body armor? 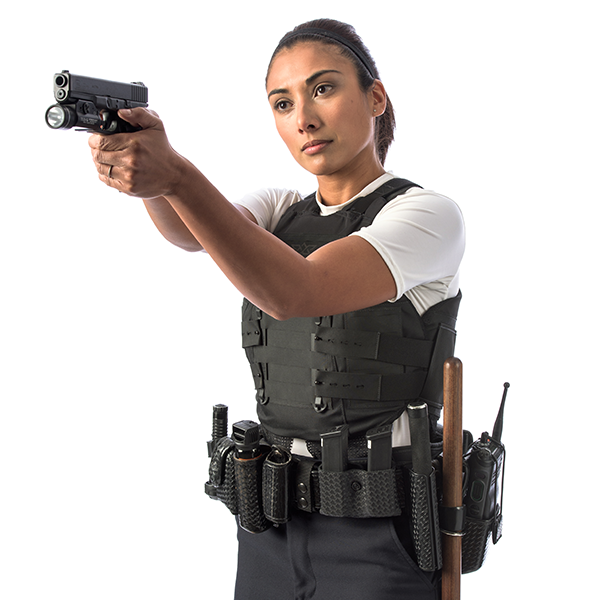 RISE is our concealable armor system engineered for ultimate safety, comfort and versatility. 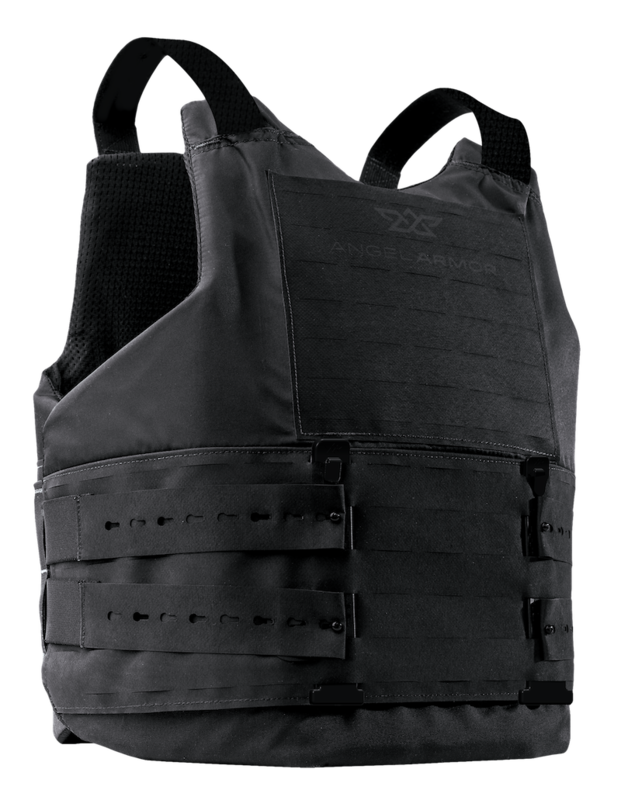 Designed from the ground up, RISE defines a new standard for soft body armor. 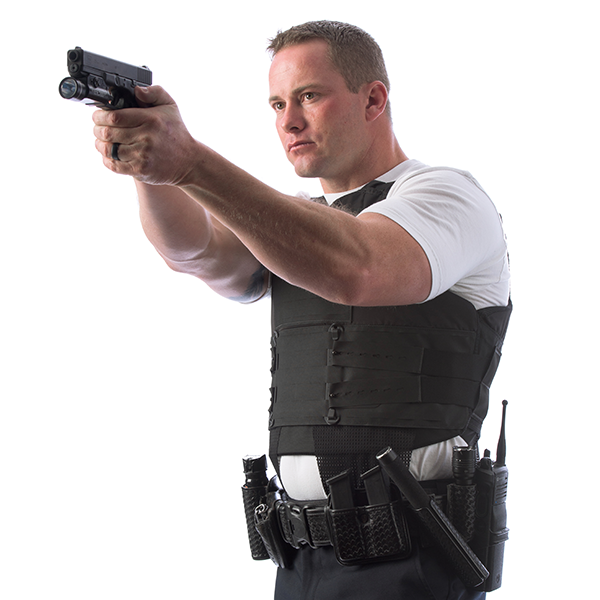 What makes the RISE concealable armor system different? 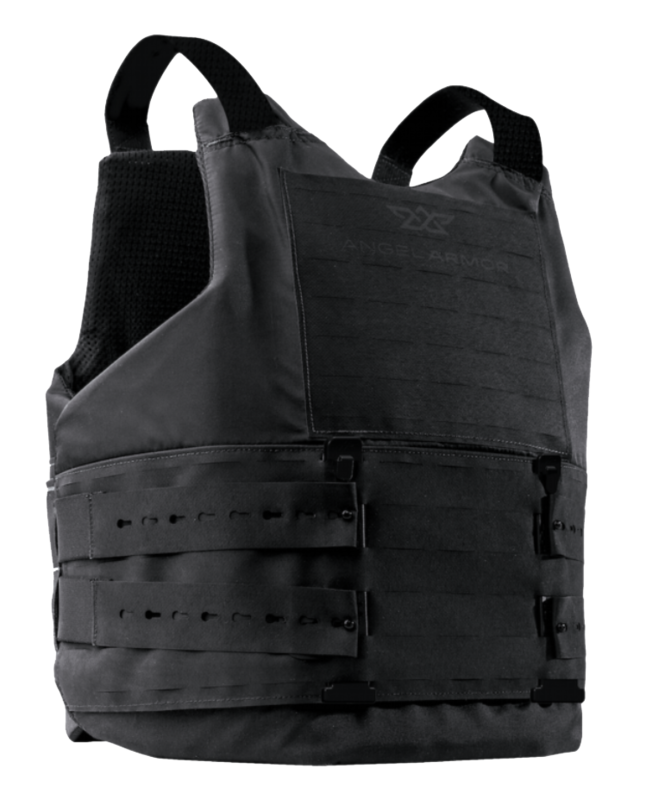 We listened to end-users to understand exactly what they want from a covert armor system. Here’s where we landed: comfort through proper ballistic suspension, a quiet and comfortable belt system and integration of revolutionary special threat plates that provide highly protective defense. 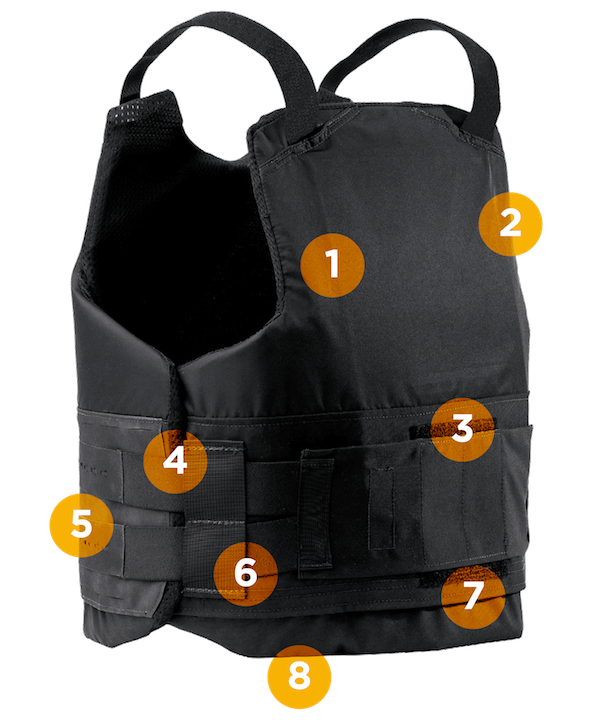 Intelligence in the ballistic design, proprietary orientation of materials and unique carrier design result in a new precedent for concealable armor. What is the QuadCore Attachment System™? The QuadCore Attachment System™ ensures a repeatable fit for quiet adjustment and long-lasting security and comfort. 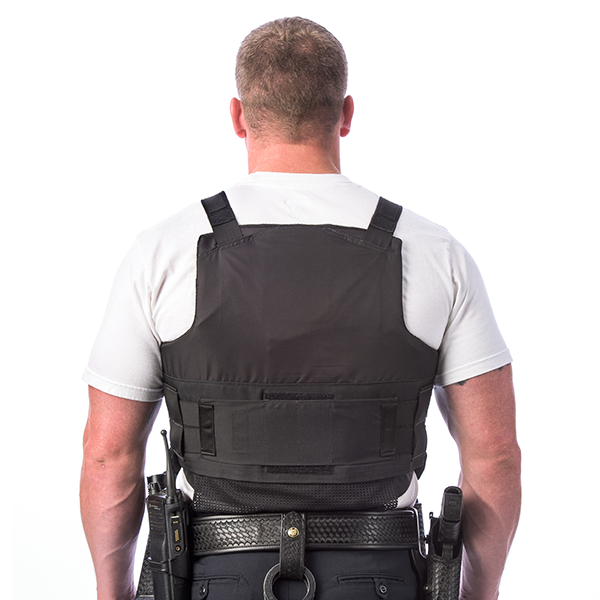 The system utilizes tailored fit belt straps made of an exceptionally durable, tear-resistant material. What color options are available for the RISE carrier? 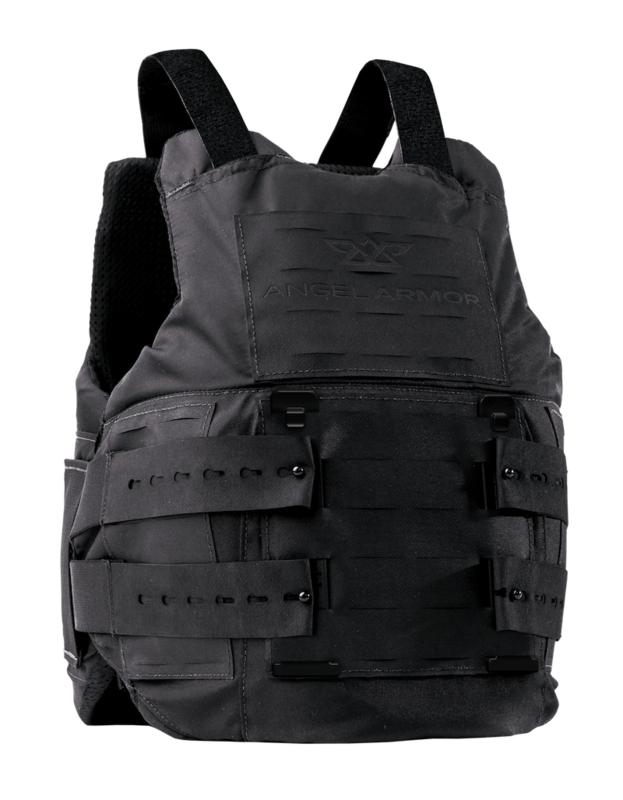 The RISE ballistic armor carrier comes in black with additional colors available upon request. 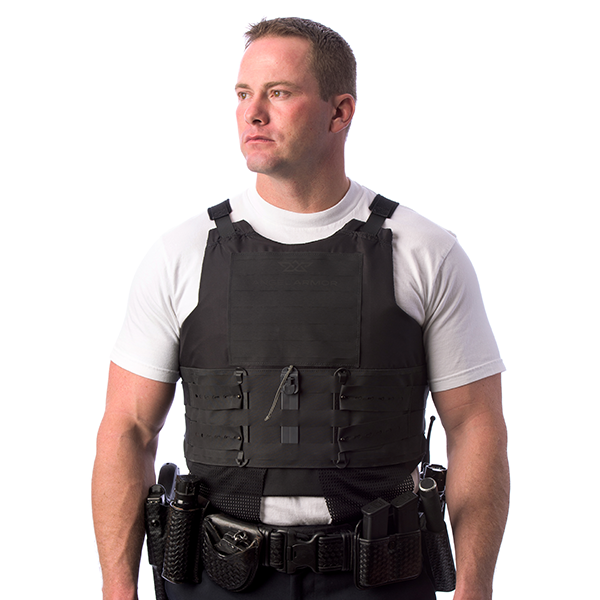 How do I get fit for a vest? After you submit an inquiry on angelarmor.com or by contacting an Angel Armor representative at sales@angelarmor.com or 970-235-2961, the end-user will be measured in accordance to the Angel Armor Size and Fit Guide, with guidance from an Angel Armor representative. We will analyze your measurements and custom cut the ballistic panels to the appropriate size of your carrier. You may place an order by submitting and inquiry below or by contacting an Angel Armor representative or distributor directly. If you have any questions or need any assistance with this process, we are ready and waiting to help: sales@angelarmor.com or 970-235-2961. 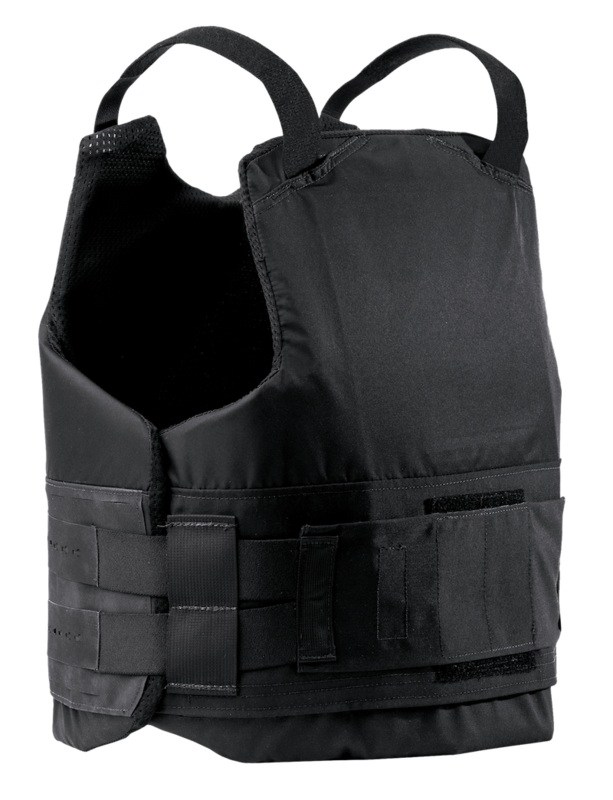 RISE Male Level IIIA Ultra Premium meets the FBI 4.1 Body Armor test protocol. What is the warranty policy for RISE? Our RISE ballistic panels are backed by a five-year limited warranty. The RISE carrier is backed by a 24-month limited warranty against manufacturer defects. For further information, visit angelarmor.com/warranties.